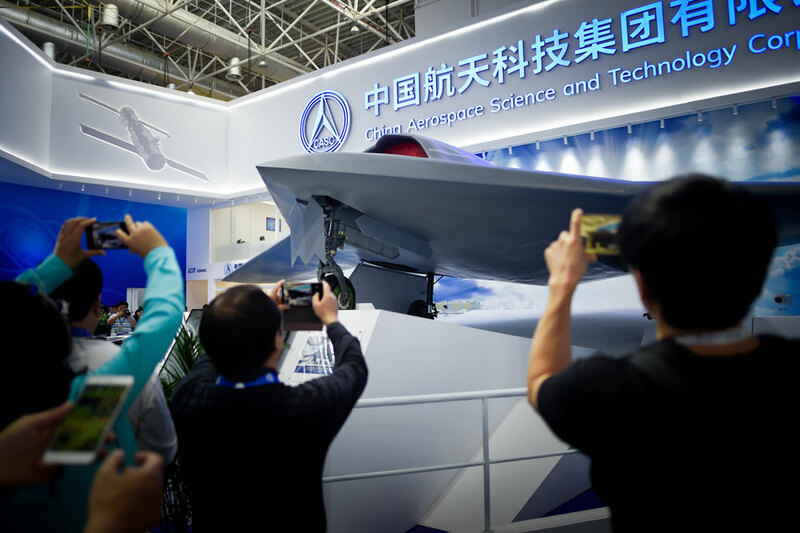 ZHUHAI, China - China is unleashing stealth drones and pilotless aircraft fitted with AK-47 rifles onto world markets, racing to catch up to US technology and adding to a fleet that has already seen combat action in the Middle East. The CH-7 -- a charcoal-grey UAV unveiled at the air show -- is the length of a tennis court with a 22-meter (72-feet) wingspan. It can fly at more than 800 kilometers (500 miles) per hour and at an altitude of 13,000 meters (42,650 feet). At the company's stand, Wu handed out a brochure showing its star product: the Blowfish A2, a 62-centimeter (24-inch) tall helicopter drone with Kevlar armor.